Ada pertanyaan untuk Sea Green South Hotel? Dirancang untuk wisata bisnis dan plesiran, Sea Green South Hotel terletak strategis di Mumbai Selatan, salah satu daerah lokal paling terkenal. Dari sini, para tamu dapat menikmati akses mudah ke semua hal yang dapat ditemukan di sebuah kota yang aktif ini. Para pengunjung ke hotel ini dapat menikmati berjalan-jalan di obyek wisata populer kota ini: Konsulat Kanada, Studio3 Art Gallery, Konsulat Australia. Gunakan kesempatan untuk menikmati pelayanan dan fasilitas yang tidak tertandingi di hotel Mumbai ini. Hotel ini menyediakan akses ke sejumlah pelayanan, termasuk WiFi gratis di semua kamar, Wi-fi di tempat umum, tempat parkir mobil, layanan kamar, layanan binatu (laundry). Sebagai tambahan, semua kamar tamu memiliki sejumlah kenyamanan seperti televisi layar datar, sandal, handuk, ruang penyimpanan pakaian, kamar bebas asap rokok untuk menyenangkan semua tamu. Disamping itu, hotel memiliki berbagai pilihan fasilitas rekreasi yang menjamin Anda melakukan bermacam hal selama menginap. Dengan lokasi dan fasilitas ideal yang setara, Sea Green South Hotel dapat memenuhi berbagai macam hal. Behind the scenes staff eg room service, housekeeping, lift attendants much more friendly and helpful than front office staff. The hotel is dated and it shows. My biggest gripe was about the quality of the towel and bedsheets. It was not clean and since I checked in at 2am and left at 8am I did not create a fuss. Definitely not staying here again. I had read differing reviews on this hotel but booked a seafront room for two nights on recommendation from a friend. 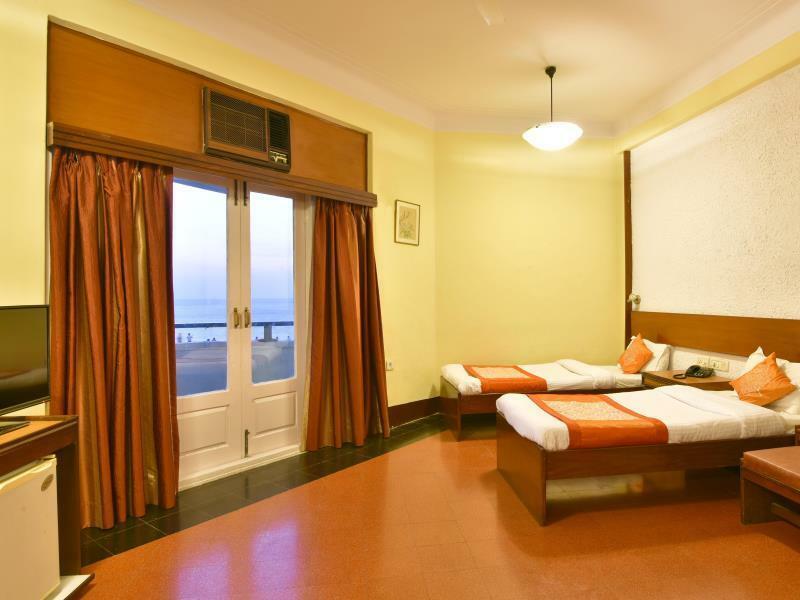 So I felt a little apprehension on arriving at the property, which was soon dispelled on being shown our room on the top (5th) floor with an absolute breathtaking view over Marine Drive and the Arabian Sea. Apparently this hotel and it's neighbour Sea Green Hotel (different hotel but in same building) were built in the 1940's to accommodate English soldiers. The fixtures an fittings are not luxurious by any means but carry a certain quaint retro charm. The plumbing could do with an update as the shower was very low pressure. Likewise the breakfast served in the room was very basic. However on the plus side, as mentioned the view and location were just wonderful, the room was spacious and clean, the staff were delightful and went out of their way to be friendly and helpful. Would absolutely recommend this hotel for it's seaview rooms and quirky character. Everthing at the hotel was excellent from the helpful staff to the location. The unbearable part is the state of the hotel , it is absolutely shoddy and old. If a renovation is done this would be the best hotel in Mumbai. Checked in at later at night from the airport, meeting an impolite and markedly unfriendly night staff- reception is not a professional affair at night, things are under lock-down mode and surly staff are not happy you're interrupting their slumber. Day staff is happier. The hot water heater was in hyper-drive, but when it was toned way down to an acceptable heat there was almost no water pressure as very little comes out the cold side. I asked them to simply shut off the water heater if it couldn't be adjusted, but they never were able to do that. Another big negative are the non existent mattresses- it is simply a thin pad on top of a wood board- very rock..or wood..hard and you will wake up sore. They need to invest some money in the rooms- they definitely are making lots of profit here as they get decent room rates and haven't spent money upgrading in decades. It was great. Very good service. 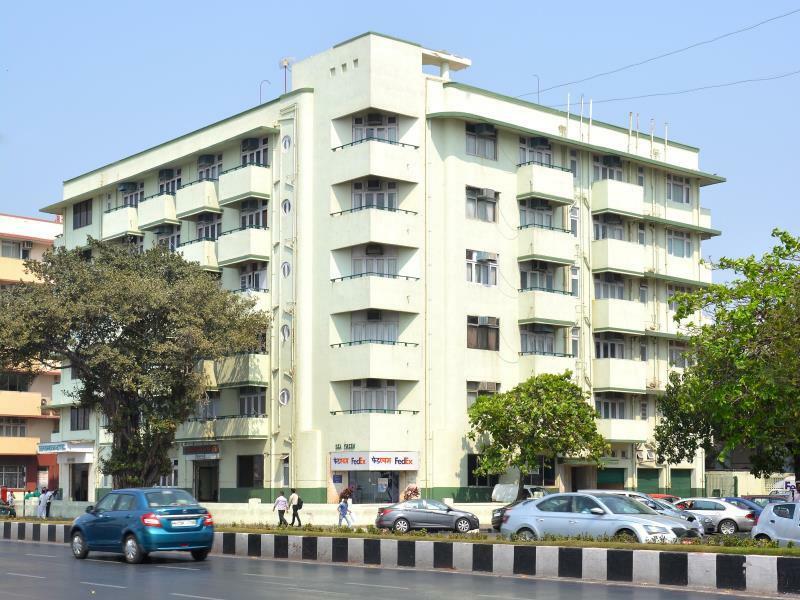 Given the location of this hotel, right on Marine Drive and as such, a highly lucrative possibility to attract a lot of custom, it under-performs quite woefully. The staff, especially late at night, seem to be in dreamland and totally inept. 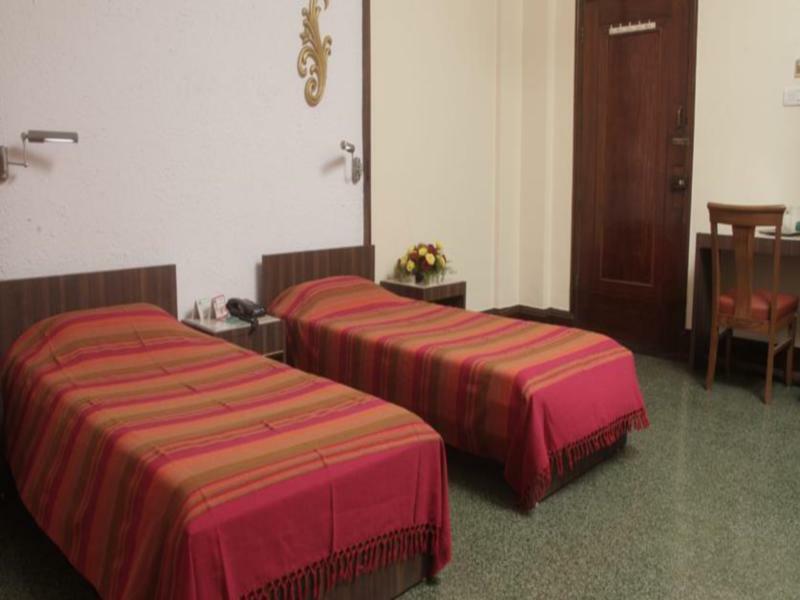 I arrived there at around 3.30am given the timing of my flight into Bombay and they made me sit ponderously and wearily for close to an hour while they tried to figure out my booking and in spite of all that, still insisted I pay for an extra night because it was before midday, which is their stated check in time. After the protracted administrative work was done, all I wanted was a sea facing room and I understand it may not have been available at the time, but having told them to let me know ASAP when one became available, I found myself having to do all the chasing around. Eventually, when I did finally, through my own efforts, procure a sea facing room, the air vent in there was constantly a problem because of the pigeons using the terrace section of it as a shelter and constantly making noise. 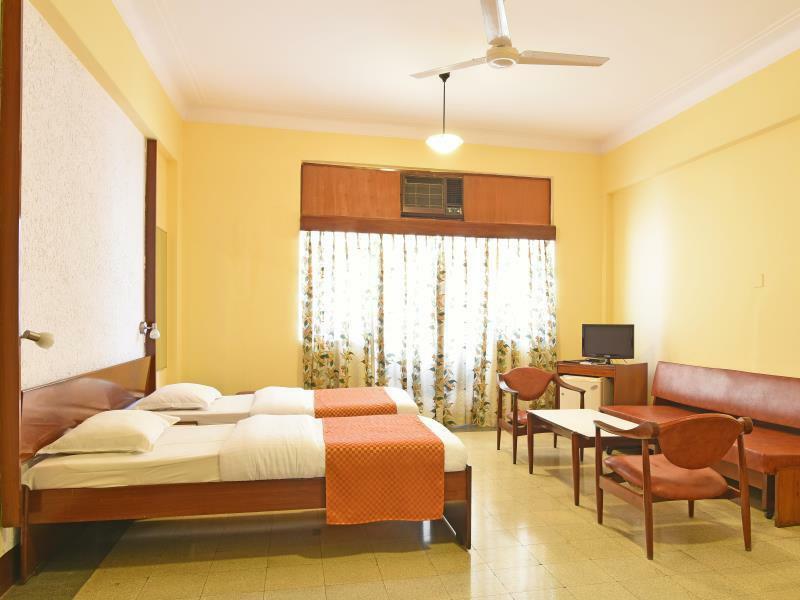 The room service staff, cleaners etc., are all very helpful but like many other businesses in India, the feckless approach of the staff makes this highly viable hotel a dismally underwhelming and disappointing hotel for those who have a higher set of expectations. Location, Staff & Location again. Rooms are very Old. 4500 INR is too much for the service you get. But due to Location price is too high. la situation assez centrale (proche de Churchgate Station et pas très loin de Victoria Station) , sa localisation au bord de mer où il est agréable de se promener le soir, ses chambres spacieuses. L'hôtel est bien bruyant. Ça ne vaut pas le prix ! Les chambres sont convenables mais rustiques à la décoration ancienne et passée. Le prix sur le site agora était plutôt juste. Ayant prolongé mon séjour, les prix proposés par l'hôtel sont plus élevés et décalés par rapport aux prestations et la qualité des chambres. Wifi payante ! Pas de déjeuner dîner possible sur place. Personnel de l'hôtel bien présents mais légèrement insistants pour recevoir des pourboires.